Around the neighborhood they call me a few things. Stinky John is one and Old Rattlepants is another. But what they really love to call me is Johnny Standing Desk. You see, I learned the joys of standing desks early and the folks at StällDesk want you to follow in older Rattlepants’ footsteps. 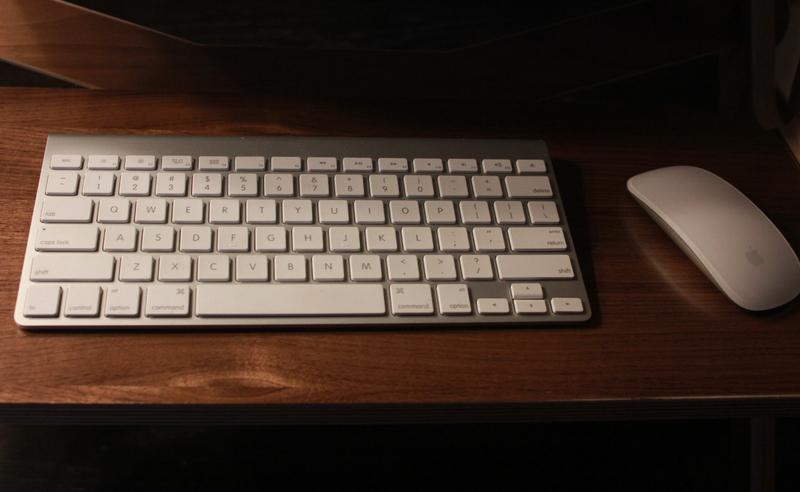 The StällDesk is basically an easy-to-assemble booster for your laptop, keyboard and mouse. I was able to assemble it in about five minutes with instructions and it allows you to place your laptop flat or at an angle. The classy-looking wooden desk features two shelves and special cutouts that let you switch from a more ergonomic slanted positioning to a flatter, lower laptop position instantly. You can also take the top shelf off and place the laptop at eye-level, allowing for an ergonomically correct sitting position. The desk is on Kickstarter now for $169. They are made of glued wood with a prime-grade, natural walnut and maple outer covering and they are LEEDS-certified. The company is shipping in February 2017. They are looking for $20,000 and they’re halfway there. Desk systems like this one are quite useful. My wife tried this model on our dining room table where she works and she’s been enjoying the added freedom of being able to stand after long periods of sitting. It’s a great solution for folks looking to retrofit their old-fashioned desks into fancy standing desks, and because it’s so easy to disassemble you can take it with you from office to office. 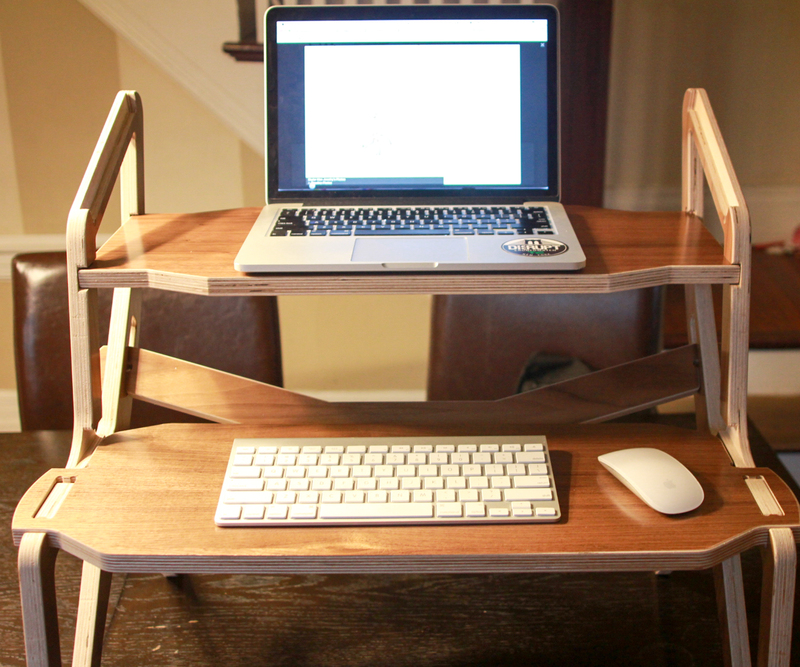 You’ve got four days to go for the Kickstarter so head over and pick up your StällDesk now. Stinky John will thank you.